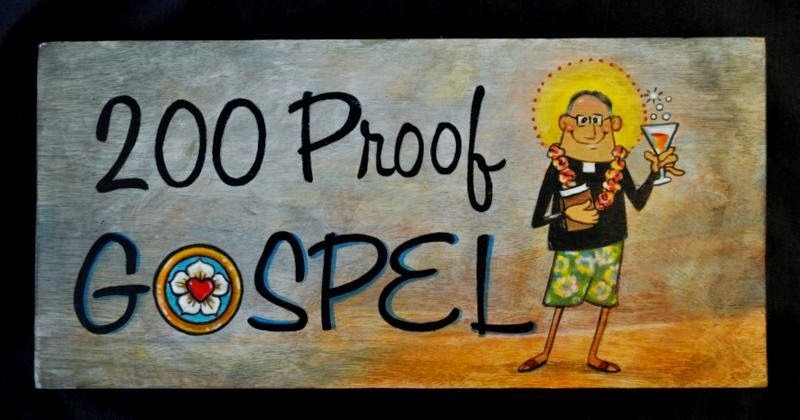 200 Proof Gospel.com: The Confessions of a Pastor: "Why God?" I've now been a pastor for almost eight months, and recently the floodgates have opened. It was almost like God commanded his heavenly angels to hold back the four winds for a time, and then when I had been sealed he let the winds blow. I'm not talking about the administrative job of being a pastor, or the worship planning, or even the voters meetings. I am talking about the work of being sent as one who is called to bear the brokenness of the people given to him by the Lord. It's much easier to face a volatile voters meeting or the stress of planning and executing worship twice a week. Don't get me wrong, I am not complaining. I know that I have been called by God and I know I am right where He wants me to be. I know that it is not I who bears the brokenness and pain of the people, but it is He who bears and lifts me up. Even so, over the past few months I have often been finding myself asking the question, "Why, God?" more than I ever have. With all my theological training, I figured that would be a question I would ask less after my ordination than before it. Even so, I guess the saying rings true, the more you know, the more you realize you don't know. When my members come to me with prayer requests, or seeking advice or aid, my heart breaks more and more. Having my theological training, I know enough now to not make excuses for God. I know enough to know that God does not need to be defended; that His unrevealed will does not need to be explained. In fact, I know that it is sinful to try and look into the mind of God and speak of things that we cannot understand. So when tragedy hits, I more often finding myself only left with asking the question, "Why, God?" which then can only turn to "Lord, have mercy" and finally, "Not my will, but yours be done." As a pastor, I also know enough to know that I am not alone in this. I know enough to know that I bear the brokenness to ease the burden of the people God has entrusted to my care, and I know that I do not bear this brokenness alone, but for the people I bring it before the One who bears the brokenness of us all, the Lamb who was slain, the one who from the cross said, "Why, God?" when he asked, "My God, My God, why have you forsaken me?" I also know enough to know the answer to that question. God the Father forsook the Son on the cross so that Jesus could stand in our place and bear our burdens. God the Father forsook Jesus on the cross so that Jesus could take our brokenness into Himself and redeem and transform it, and Jesus willingly obeyed the will of the Father so that we could be reconciled to our Lord and our God, and walk in the newness of life. In this life we are still left in our brokenness, but in Christ our brokenness is transformed and used by the Spirit to enable us to receive grace and mercy from Christ, and to enable us to be broken for others. Those who are broken know and understand their humility before God, and they are able to empathize with others who are broken and serve them to bring them before to the One who bears the brokenness for us. I thank our heavenly Father for the opportunity to bear the brokenness of my people, and for the humility to not try and explain away His actions, but to simply ask, "Why God?" followed by a "Lord, have mercy," allow it to be answered with a simple, "Your Will be Done," because I know that one day that question will cease, for the Lord's always shows His people mercy and His will is to bring us safely to the completion of our salvation on the Day of the Lord's Return.